On living and dead eucalyptus wood. This rubbery bracket looks like a tongue or piece of raw liver. 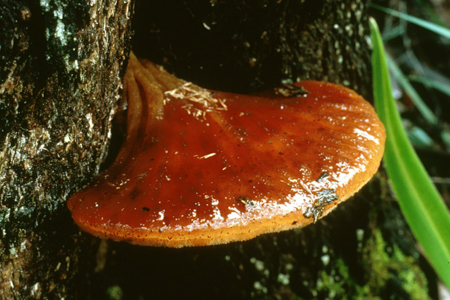 The cap varies from pink to brown, is radially wrinkled and slimy when wet. 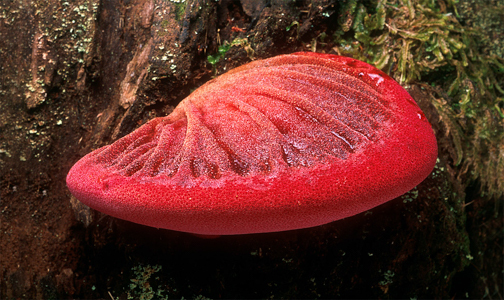 On the underside of the cap, pink to yellow-brown pores occur as distinctly separate tubes, easily seen with a hand lens.